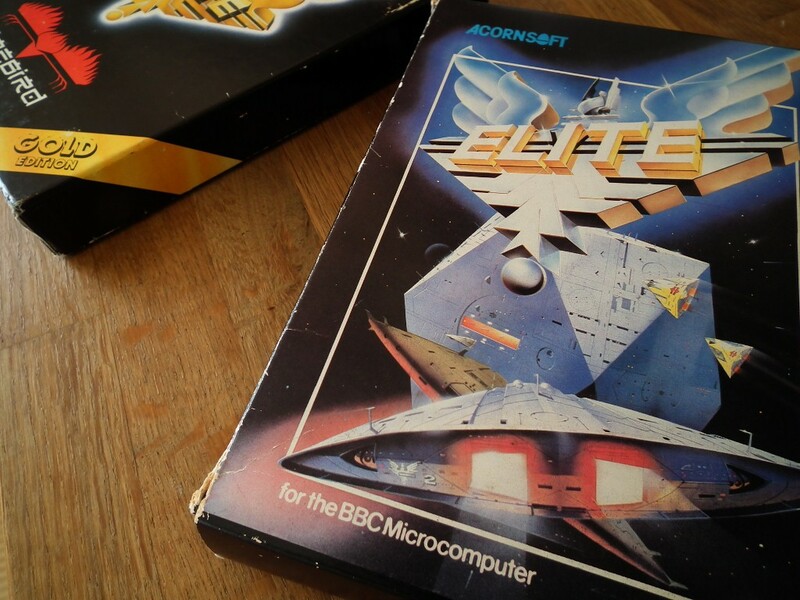 There’s little doubt that David Braben and Ian Bell’s classic Elite is one of the most enjoyed games on many early 8/16 bit home computers and I’d hazard a guess that it’s easily included in most retro gamers top 50 all time favorites. However, rather than rattle on about the actual game (which I could do for many hours), I thought it might be interesting to focus on the actually game packaging & contents which was famed for being quite extensive at the time compared to other games and provide a few pictures that might bring back a few memories to all that owned it. 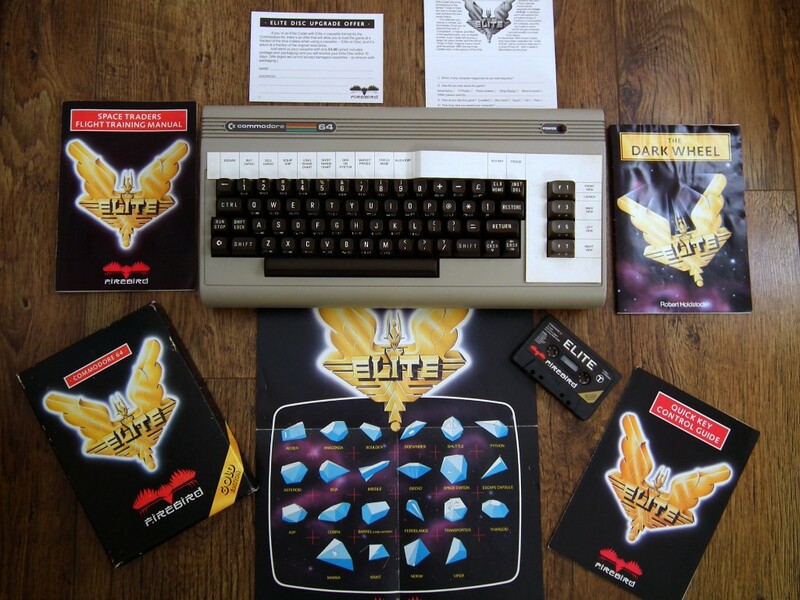 Although my first encounter with Elite was just after it’s release on the BBC Micro’s (we’d use Elite to demonstrate the Beeb to mums & dad’s that would wander into the computer computer shop where i spent most of my Saturdays) the first copy I actually purchased for myself was for the Commodore 64. 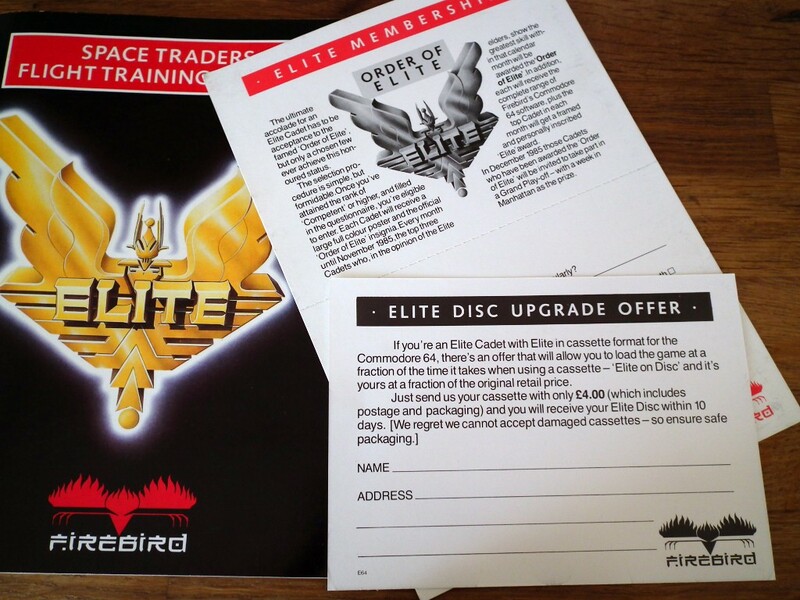 Unlike most of the games at the time which usually contained just the game tape/disk, instructions booklet & if you were lucky the odd poster or badge, Elite’s contents contained a real treasure trove of goodies. 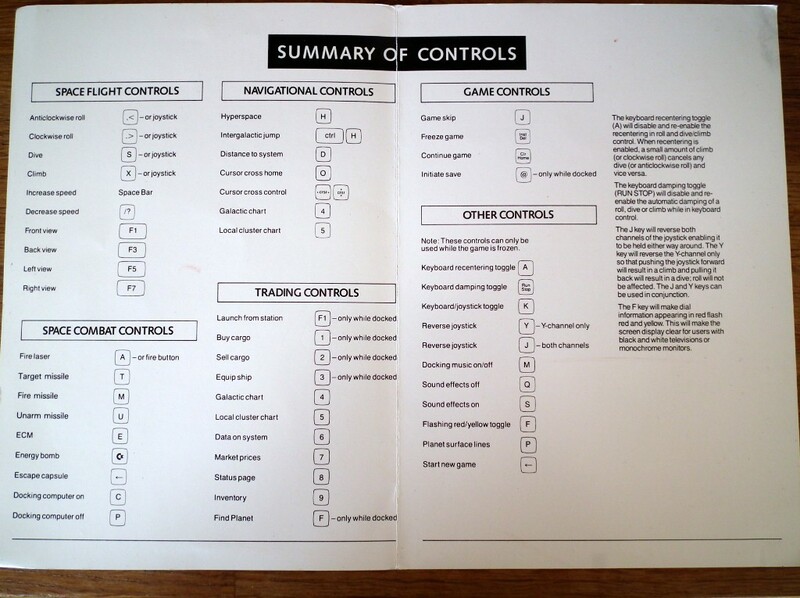 Firstly there was the very handy keyboard control overlay that was cut to fit the C64 numerical & function keys and served as a quick reference for your ship’s on-board computer controls. A very handy resource in combat especially if you needed to take a quick peek at the bounty hunter behind you and couldn’t remember the correct button to press! It was such a novel idea that I thought worked really well at the time. No longer just a breadbin, welcome to my Cobra MKIII flight controls. Next is the ship identification chart (poster), again serving as a reference guide to all the ships that you might encounter, attack or need to get the hell away from. As a kid I proudly stuck this to my wall and even now, all those polygon shaped ships and logo still look kinda cool. Of course the most useful of all the contents is the Space Traders Flight Training Manual. 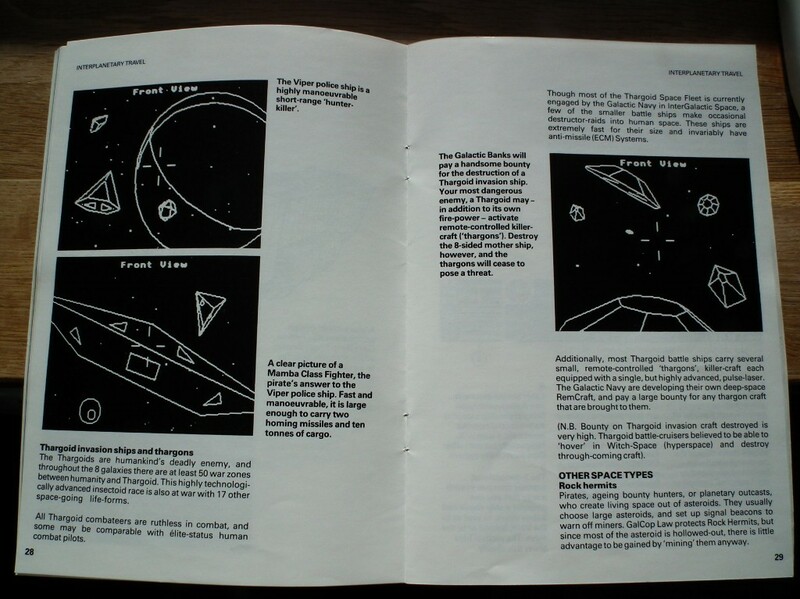 Not only a definitive instruction manual for the game comprising of navigational, trading and combat details, but also provides a wealth of data regarding ship types, political profiles of the Galactic Federation, and helpful advise for intergalactic traders. It’s all a load of piffle really, but the incredible amount of detailing contained within the book just pulls you in to the Elite world and you can’t help but admire the work that had gone into producing such a fine book. Next up we have the Quick Key Control Guide, a 2 page reference to every key control in the game. All pilots shouldn’t leave home without it! The two other bits included in the box was an offer to upgrade the cassette version of the game to the floppy disk version (for a knockdown price of £4). Very handy at the time because it wasn’t long before I’d splashed out on a 1541 disk drive and eagerly took up this offer. The second bit is an application form to for entrance to the ‘Order of Elite’. 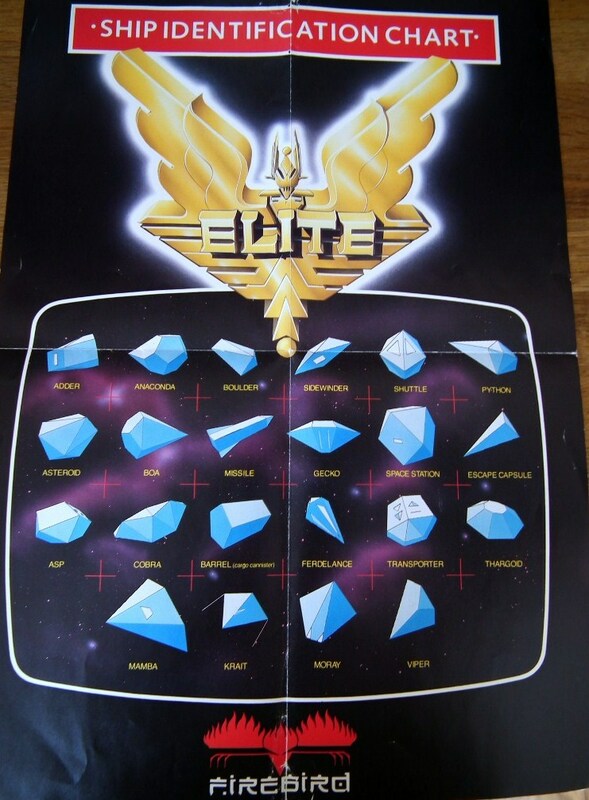 All ‘Elite Cadets’ were eligible to join after attaining the rank of competent or higher and would in return receive a full color poster and the official Order of Elite’ insignia. Every three month, the ‘Elite Elders’ would select three of the most skilled cadets and award them with the Order of Elite. 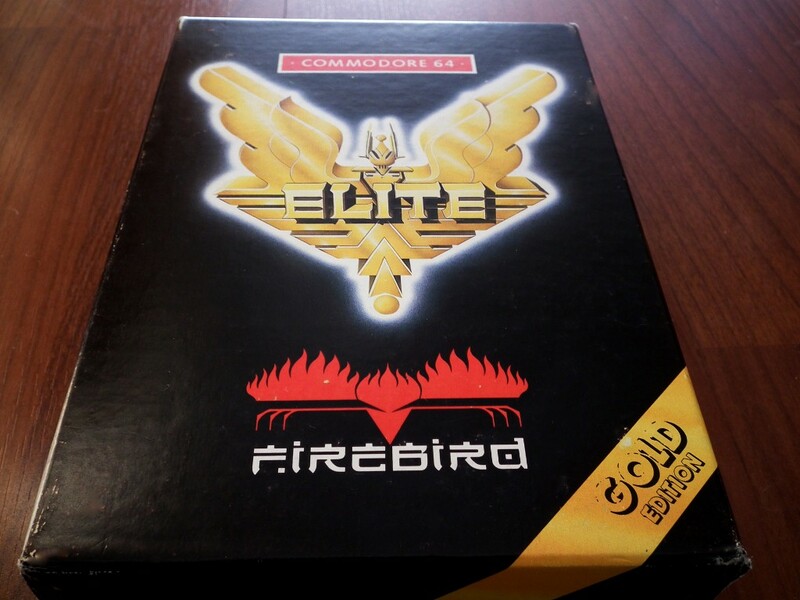 As a bumper prize, said cadets will also receive the the complete range of Firebird’s Commodore 64 software and the top cadet each month would receive a framed and personally inscribed Elite award and invited to to the play-off to win a week in Manhatten. 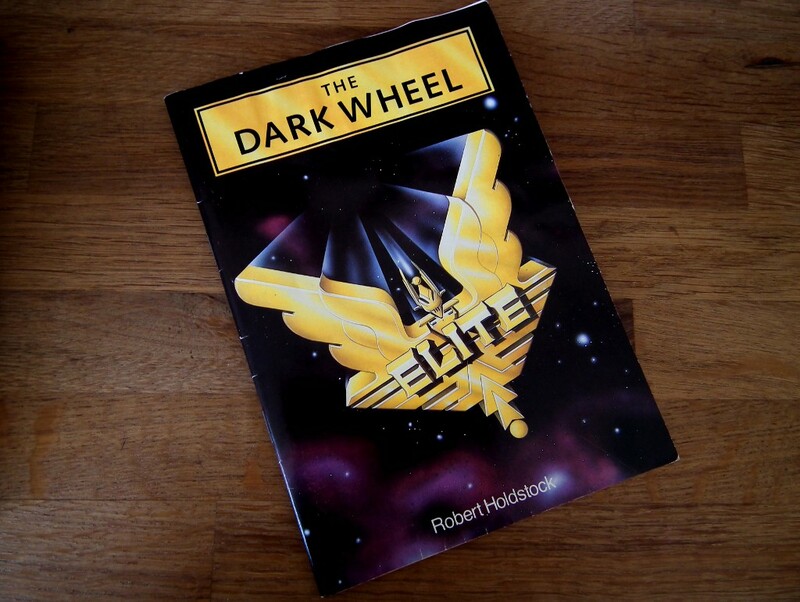 ..and on to the final and best piece of Elite goodness was the inclusion of the novella ‘The Dark Wheel’ by Robert Holdstock. Not only is it a cracking Sci-Fi read itself, enriched in the Elite universe, it provides a great backdrop to the game like no other at the time. 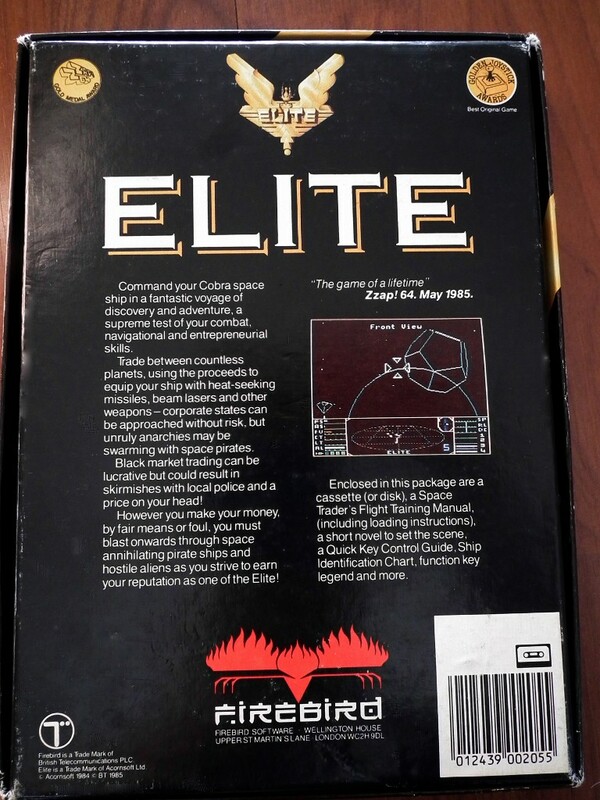 Elite was/is such a fantastic, engrossing and rewarding game made even more special by the those wonderful box contents. There have been many others like it since, but it’s with Elite and the excitement when first opening the box is what I remember the most. This entry was posted in Commodore. Bookmark the permalink. Retro gaming night at The Lass. I was a big C64 Elite fan in the past, and I have an unanswered question about the game, I hope You can help me, if You get the time for me. I remember that there were a secret keystroke that stops the ship whirling during flying, means when I release for example the ‘>’ (clockwise roll) key, the whilring immediately stops. As I remember I push this keystroke after loading the game in the main screen, and maybe it was a control key together with a normal letter. Can you remember this secret? If yes, please dont hasitate to tell me :)(laszlo.mate@gmail.com). 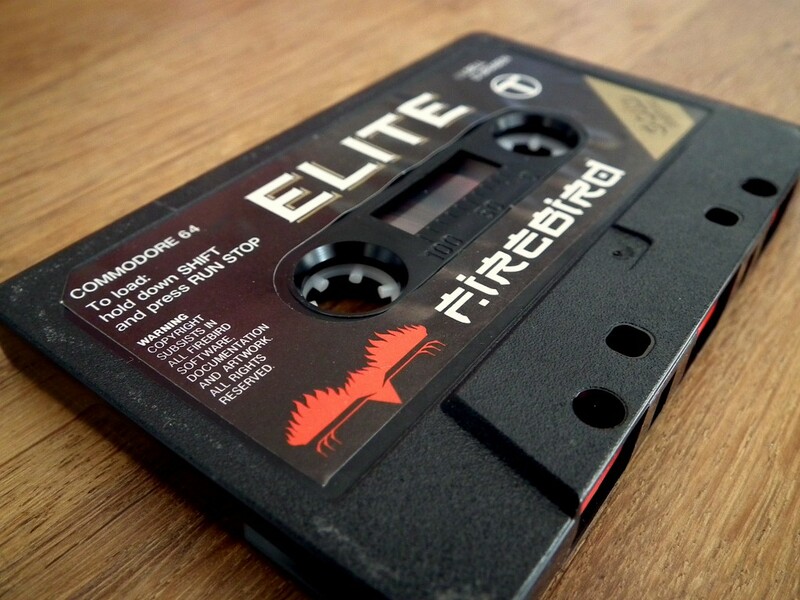 Thanks in advance: an old Elite fan. Hello there! Well it certainly doesn’t ring any bells with me so I can’t help you with that one. I’ll ask the guys at the Retro Computer Museum and see if any of them can remember. Hello, thanks for a lightning fast reply, finally I read the manual from your pictures, and the answer has born: when the ship is in the space, must freeze the game by pressing Del, then pressing the ‘K’ key (which is toggle between keyboard and joystick control), as a side effect stops the whirling. That’s all. Once again thanks for your time, and a comprehensive Retro gaming page. Finally You gave me the answer. Take care and watch out for those space pirates. Any fans of Elite out there you have to check out the Elite: Dangerous Kickstarter by David Braben and Frontier Developments. Yep, already been there my friend and a damn fine project it is to back too! 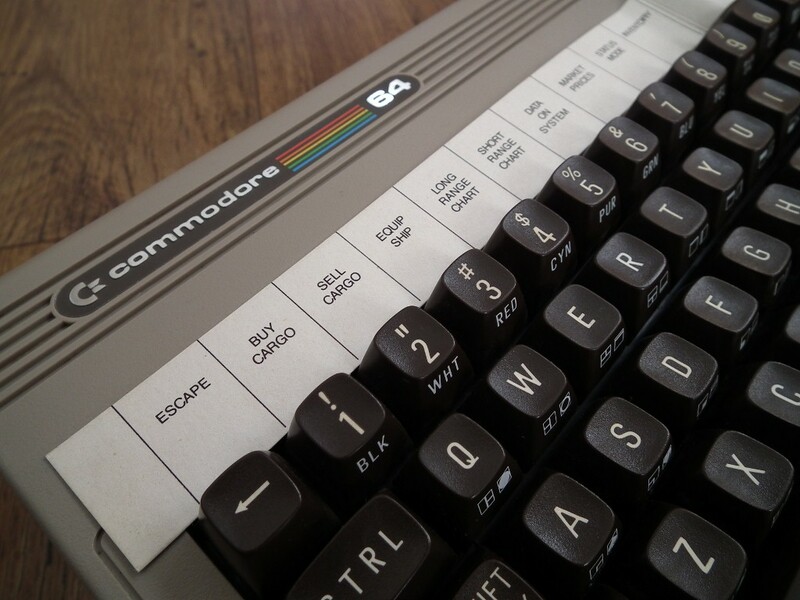 Great post, wakes up so many memories from my old C64 days. Spent hours playing to reach dangerous level, greatest game ever in its own heyday! Now joined the kickstarter and looking fwd to see if Braben can come out with an equally grand experience although I am in my middle age but will consider playing this. Hey there I’m glad you liked it. I to am looking forward to what comes out of Braben. Interesting times.